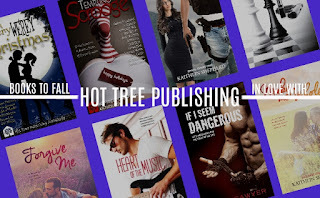 Hot Tree Publishing has teamed up with four amazing New York Times, USA Today & Amazon best-selling authors to bring to you four incredible romance stories. 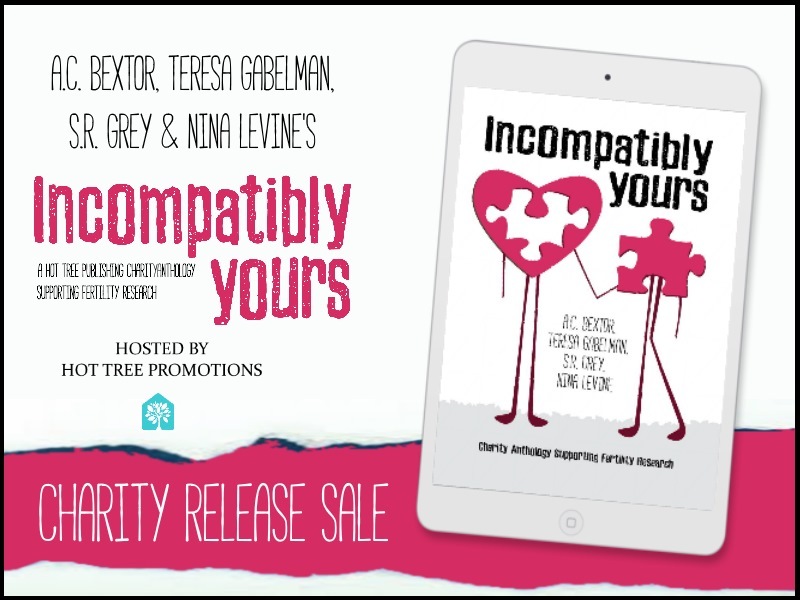 The talented authors have produced new stories especially for our fertility research charity anthology, Incompatibly Yours. 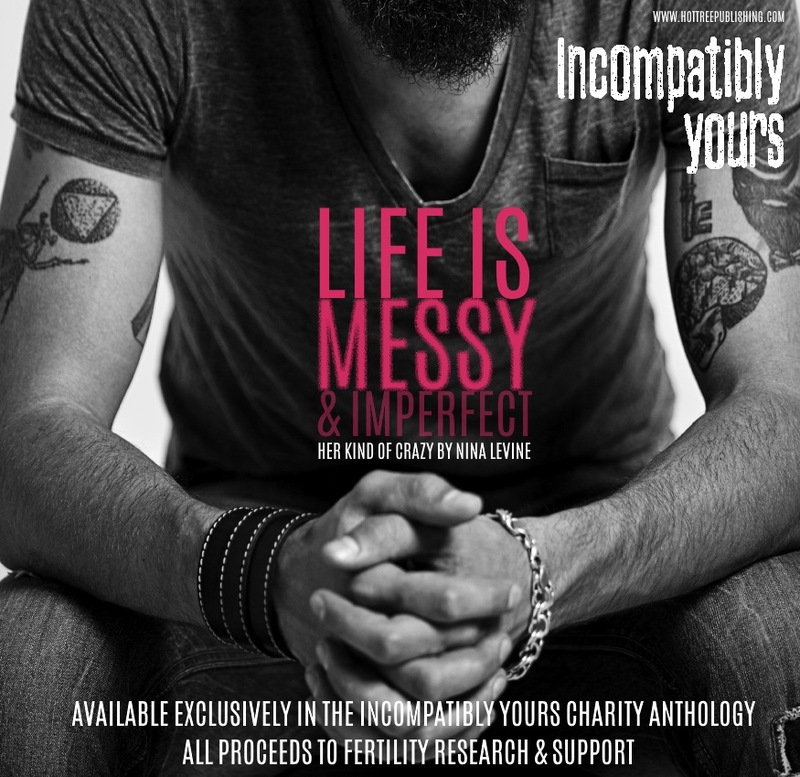 100 % of the profits from the sales of this stunning anthology will be donated to fertility research and support charities and organizations. For years, Ryleigh has ignored her heart's desire and its ache for the man she's always wanted. Since coming home after years of being away, she discovers her love for him hasn't changed. The only problem is she's no longer the girl she once was. Committing her life to teaching the blind, Julie Daniels doesn't expect cowboy Clay Marshall to turn to her for help. 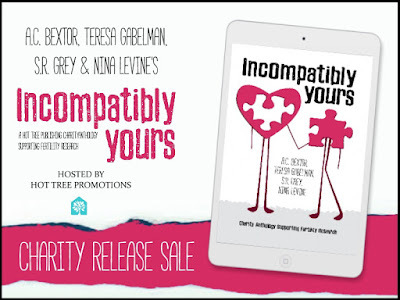 As their worlds collide, Clay and Julie discover they have to rely on blind faith to find their own slice of happiness. Shy girl Brooks Happ wants nothing more than for her first kiss to come from someone who's her complete opposite, Confident Sebastian Kain fits the bill. Problem is, the world won't cooperate. Time and time again, Brooks's first kiss is interrupted. 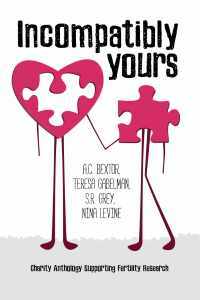 A cute, funny romantic comedy sure to make you laugh. Juliette Taylor never saw Tanner Brady coming and as much as she swears he's all kinds of wrong for her and that she wants nothing to do with him, he's out to show her otherwise. Never in a million years did she think a laid-back tattoo artist could be the man for her, but he's determined to show her that she's his kind of crazy. New Release FRICTION by Sapphire Knight!! AWAKENING by Brianna West is **Free** TODAY only!